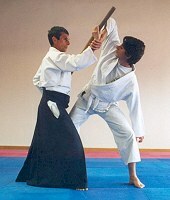 ﻿ Aikido Dojo Nippos is the association for diffusion of Aikido, the Japanese martial art, meaning 'the way of harmony'. We organize classes, summer meetings, seminars, residential stages and holidays in Nippos Apokoronas, Hania, Crete, Greece. © 2005-2019 Aikido Dojo Nippos - All rights reserved. Powered by SuperXS.